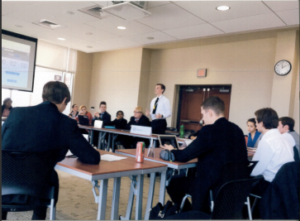 NW Kansas students were able to participate in the Model United Nations Program in Wichita, thanks in part to a grant from the Hansen Foundation. The students’ unanimous enthusiasm and the vast amount they learn is a wonderful and rewarding way of evaluating the success of the program! The value and reward of their successful interactions with other bright Kansas students, and the satisfaction of problem solving cannot be measured!